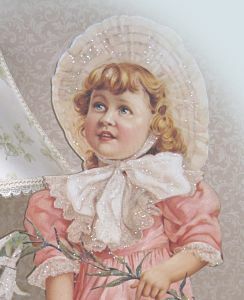 A large white bonnet frames the face of this lovely little girl dressed in pink. 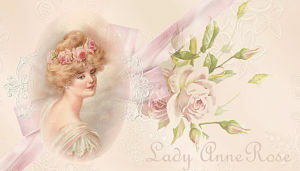 Pink dress has a white lace collar and ruffled sleeves all of which is enhanced with hand applied glitz. She is holding a stem of lilies. 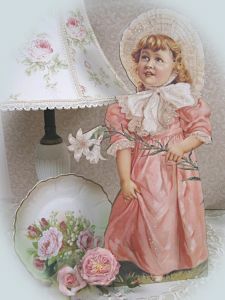 Can be used on table, floor, mantle or shelf to become the feature of the setting.